Twisted to Perfection: To achieve a neat and shiny twist, use a moisturizing creme like Kurl Defining Creme. Made from Cupuacu, Shea Butter and Argan Oil, Kurl Defining Creme is perfect for molding curls and leaving your hair soft, shiny and neat. The perfect moisture packed/tangle fighting combination for #washday. Almond & Shea Butter Moisturizing Shampoo leaves the hair and scalp feeling clean and moisturized. It smells like a tropical rainforest infused with Almond, Oranges and Shea butter. Give your hair a day at the spa with this treat. It's sulfate free yet provides a lot of suds to cleanse away unwanted build up. It's thick consistency ensures that a little goes along way. Thirsty Kurls Leave-in Conditioner detangles on contact leaving your hair manageable and moisturized! No wonder it's our TOP seller. Made from Hibiscus, Honey and Aloe Vera it has a light and slippery consistency that smells like baby powder meets Hibiscus. It's perfect to use with gels and Cremes and won't leave build up. 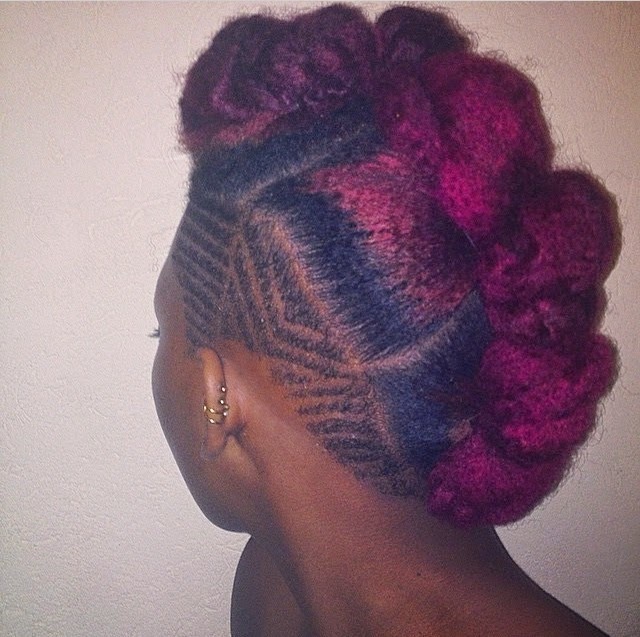 Many are inspired to go natural because of "hair inspiration". 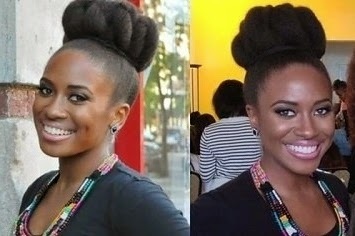 Hair Inspiration- seeing a girl with fabulous natural hair and wishing your hair could look like hers. 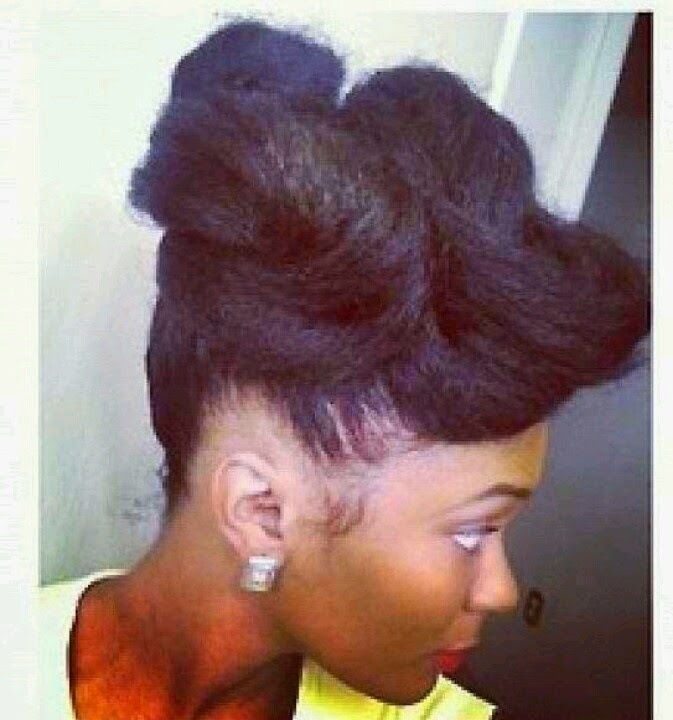 Although, this is a perfectly good reason for wanting to go natural, you must understand that no two textures are alike. Your hair texture is highly dependent on genetics and no matter how hard you try, you will never get Tracee Ellis Ross curls. Once you get over this major illusion, your natural hair journey will be a cake walk. 2. To Big Chop or To Transition? There are essentially two ways to go from Relaxed to Natural. Big Chop is for the brave at heart. The process by which you shave or cut off all chemically processed hair. 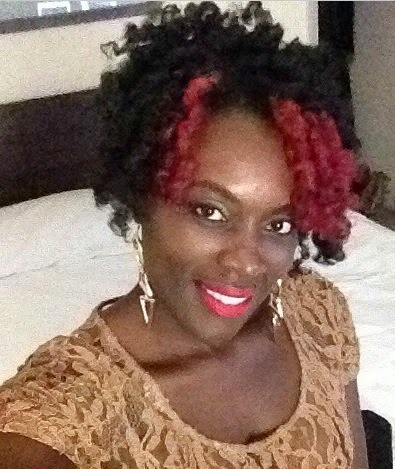 Transition- is to slowly transition to natural hair by gradually cutting off chemically processed hair as your hair grows. 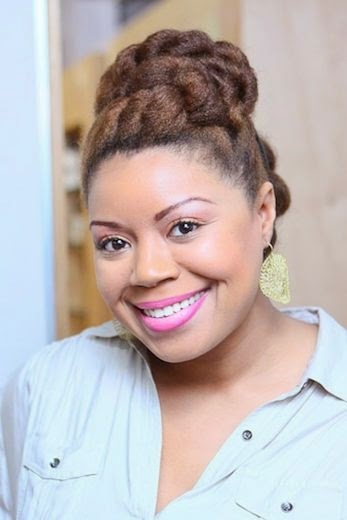 Going natural can be frustrating at times as you experiment with new styles and what products to use. 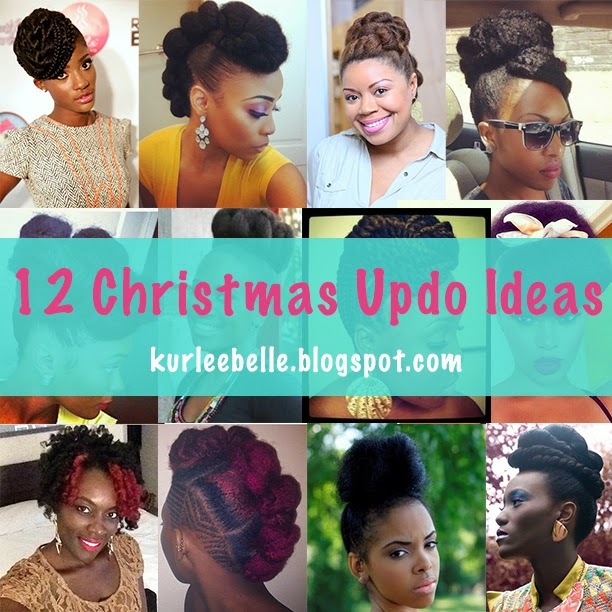 This process can be daunting especially if you are not accustomed to doing your own hair. 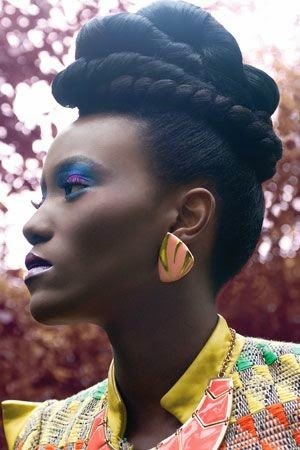 Our advice is to consult a natural hair stylist who can help you take care of your hair and recommend styling options. 4. Find Products That Encourage The Health of Your Hair. 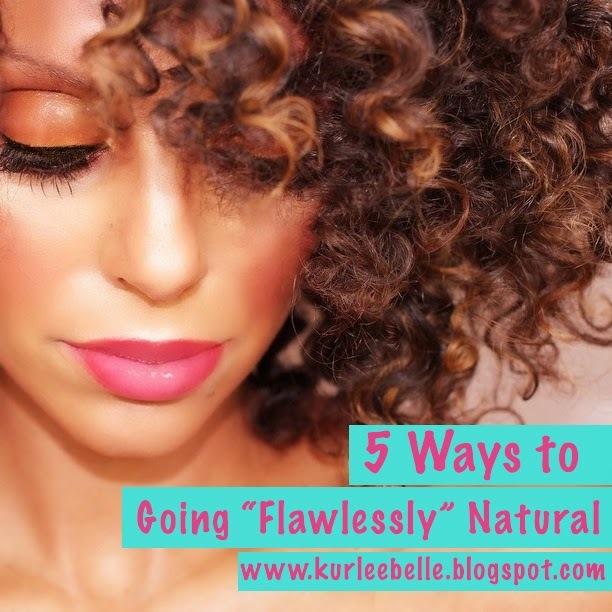 When going natural, it is important to mind what products you put on your tresses. Not all products are created equal. When we were relaxed, it was ok to use that $2 grease made solely from petroleum to give us that laid to the side look. 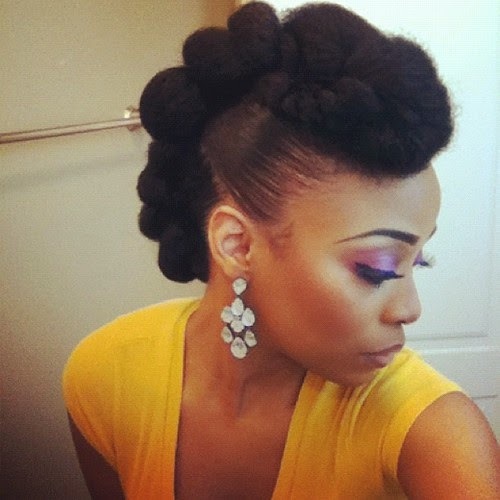 Natural hair, however requires products that will nourish the strands. Avoid cleansing products that include sulfates which can be drying and petroleum/mineral oil based products which give the illusion of moisture. Read labels and look for products that contain names that you recognize in daily life. Remember the product contains more of the ingredient at the top of the list than at the bottom. Hair Care Regimen is important for natural hair. Why? 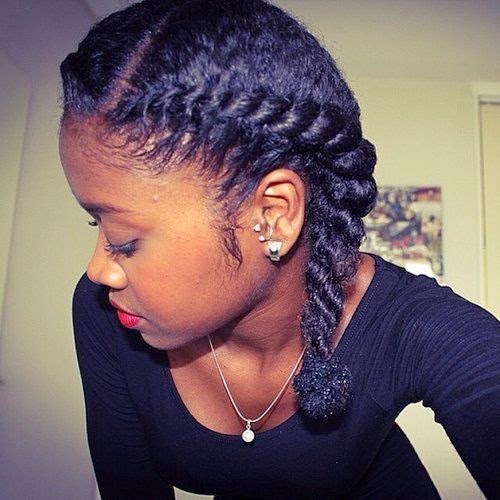 Because natural hair can be drier than relaxed hair and is prone to tangles and knots which lead to breakage. A good hair care regimen includes a routine where the hair is cleansed, moisturized, conditioned and protected. Moisture and protecting should be done daily while cleansing and conditioning can be done weekly to biweekly. Cleansing -Not co-washing- will clean the hair and scalp from debris, dandruff and/or product build up. Since natural hair can be dry, you should use a sulfate free moisturizing shampoo. Sulfate free moisturizing shampoos like Almond & Shea Butter Moisturizing Shampoo will clean the hair without stripping of it's natural oils. Moisturizing- The natural sebum produced by the scalp has a harder time reaching the ends of natural hair because its curly shape. When you first start your natural hair journey, you may notice that your hair looks or feels dry. Natural hair requires extra moisture, finding a moisturizing creme made out of butters like Shea Butter, Cupuacu or Argan oil and a spray bottle with water will be your daily best friend. Kurl Defining Creme is a daily moisturizer and curl definer that will leave your curls looking and feeling healthy. 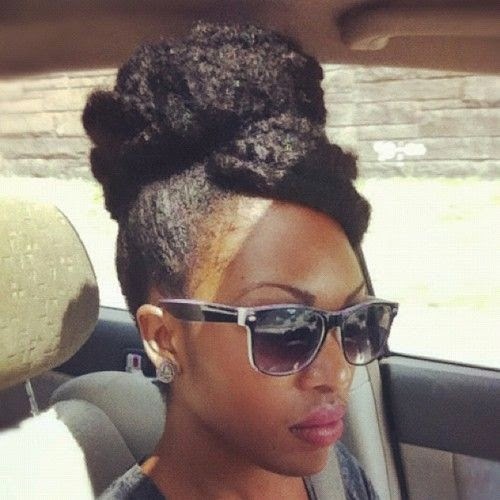 Conditioning- Conditioning is important for new naturals because it encourages the growth of healthy natural hair. If you were not in the practice of deep treating/conditioning relaxed hair then you need to break that habit fast. 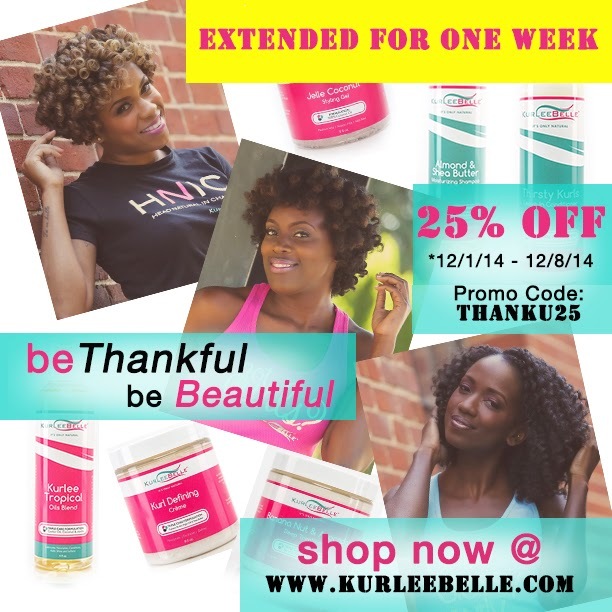 Weekly or bi-weekly conditioning treatments add strength, promote growth, shine and nourish your curls. This is particularly important in length retention. In order to retain length, you must condition your hair. 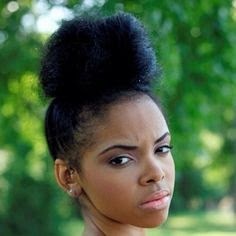 Many naturals do not experience healthy natural hair because they neglect to condition their hair and/or trim. 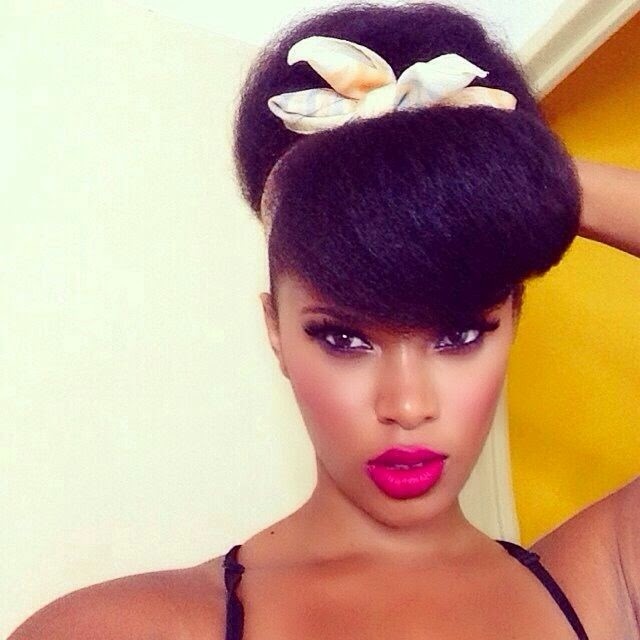 Natural hair breaks, tangles and splits just like relaxed hair, so it is important to condition the hair. A good conditioning treatment like Banana Nut & Avocado Deep Treatment will give your natural hair the TLC that it needs. Protecting- Protecting the hair means treating it with care. At night, it is recommended to sleep on a silk or satin pillowcase or wear a silk/satin bonnet. The silk/satin material prevents the friction that your hair experiences from rubbing on your sheets as you sleep. 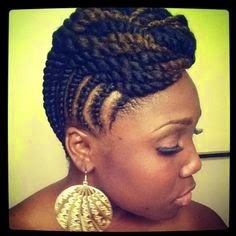 Other ways to protect the hair would be to use a heat protectant aid when heat straightening the hair, wearing a cap during extended periods of sun exposure or giving your hair a rest by wearing protective styles like weaves or braids. 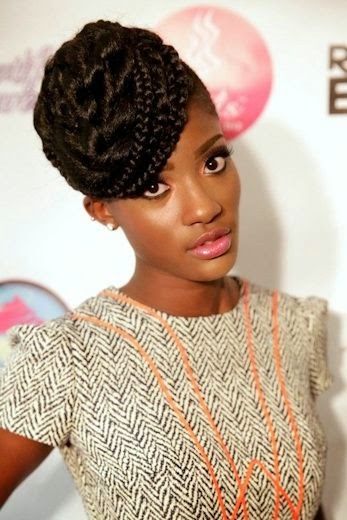 A tip that naturals forget sometimes is not to style the hair when it is dry. Always damp the hair with water before styling. This will prevent tearing and breaking. It all began with a love story between ____________ and _____________. This love story was like no other…… After two years of transitioning, ____________ decided to wear her natural hair for the holidays. She was a little concerned about what her family and most importantly her boyfriend would think. She had always worn weaves and was new to the natural thing. _______________ tried product after product, watched numerous YouTube tutorials but could not achieve the look she wanted. _____________ noticed his girlfriend's frustration and decided to do some research of his own. To help his struggling girlfriend find products, ____________ took to the internet like any loving boyfriend would, to find products for his boo. He stumbled on a review of Kurlee Belle’s Kurl Defining Creme by a blogger who had a similar texture like his girlfriend and after navigating to the Kurlee Belle website, he bought __________ a nice bundle of Kurl Defining Creme, Thirsty Kurls Leave-in Conditioner, Almond & Shea Butter Moisturizing Shampoo and Banana Nut & Avocado Deep Treatment. He wanted his baby’s hair to look stunning for the holidays and knew that Kurlee Belle would do the trick. __________ gifted __________ with the products and put the biggest smile ever on her face. 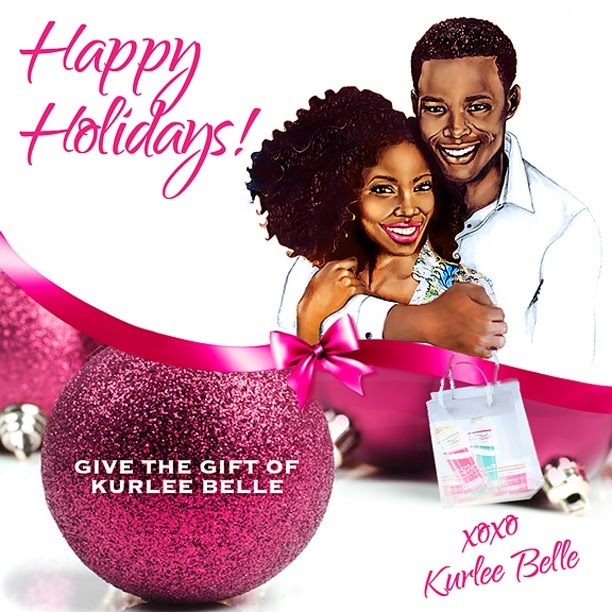 Since then, _____________ recommends "The Gift of Kurlee Belle" to all of his friends whose girlfriends have natural hair. ____________'s thoughtful gift reminded ___________ of why she loved him so much! - Guess the First Names of the Characters in "The Gift of Kurlee Belle" graphic (Eligible to win if you have guessed correctly for one or both names.). - Leave your email address along with your guess underneath the graphic on our Instagram, Facebook or Blog post! -Tag your friends to help share in the fun. -The first 4 people to guess the first name of the characters will win a Kurlee Belle Mini's Sample Pack! -Check Kurlee Belle Facebook Page for DAILY CLUES to the name of the characters. - Winner announced Christmas Eve, December 24th, 2014! -Open to USA and The Bahamas only.